Hola hola holaa! 💛 You know where I'm writing you from? From home! It feels so extremely good to be home in Kuopio. I demanded my dad not to wake me up in the morning (as he usually loves to do, just to annoy me a bit haha) and slept until 10 for the first time during my vacation, and now I've been enjoying the silence, reading blogs and sipping a loooot of coffee. Everyone's somewhere so this is the one moment of the day that I'll be completely alone. Actually, I think the last time that I was alone was in Barcelona, and since Barcelona I've spent 6 days in Stockholm and 3 days in Helsinki. + One day in a car with my bff and my sisters, which was..epic. I'll tell you more about everything later, I just wanted to pop by and say hi now that I had the chance! All white outfit is definitely a risky thing to wear, especially if you are like me, but it looks so fresh that I couldn't resist wearing it. August and September are both still summer months in Barcelona, so I'm looking forward of wearing the look again once I'll get home. 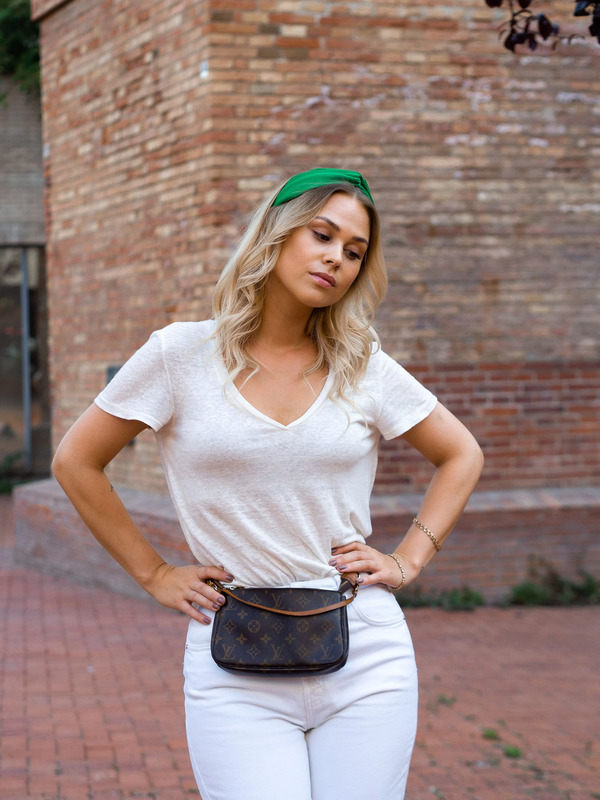 I added a pop of color with a green hairband (a color that I've been loving lately) and wore my forever favorite Louis Vuitton Pochette as a fanny bag to make it more interesting. 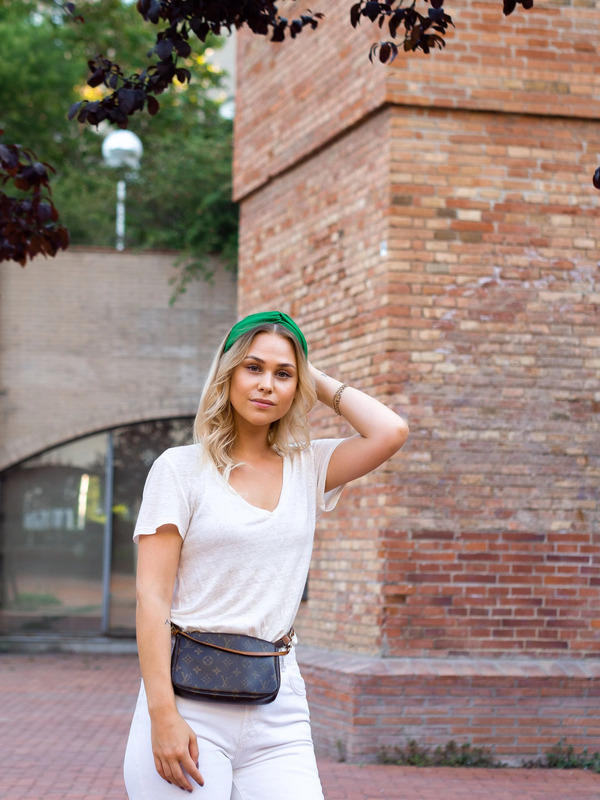 This is actually the only way I've been wearing the bag this summer and I think it looks so cool with summer dresses as well as basic outfits like this. What do you think? Now I'll jump in the shower and get ready for the day. My dad promised to let me drive today (as long as he's inside the car) and I'm super excited. He has a new car that is automatic, so I think I'll nail it. But just to be sure, wish me luck ok? Kisses! One of the biggest trends this fall is the leopard print, no doubt. 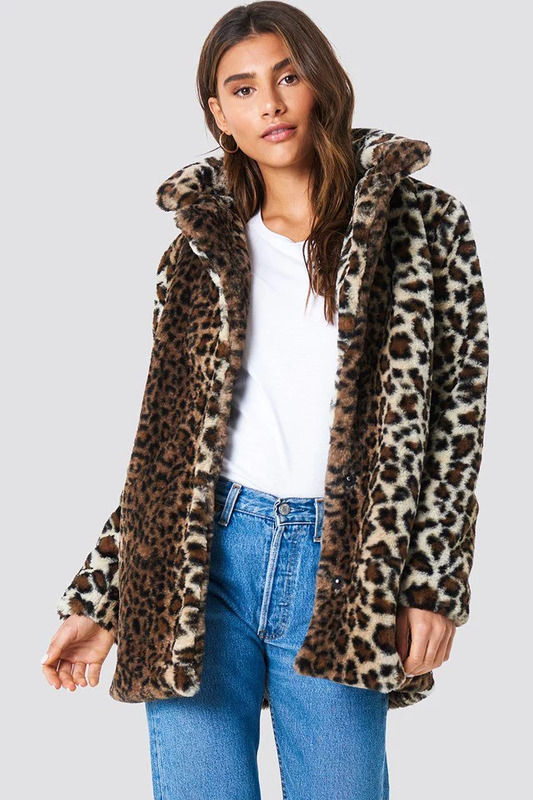 I myself have been a leopard print lover for some years now, and can't actually wait to get to wear my leopard coat again, once the summer has passed. I actually actually thought about taking my leopard coat with me to Sweden and Finland, but finally decided to leave it home because of the fact that it just took too much space in my all ready full suitcase. 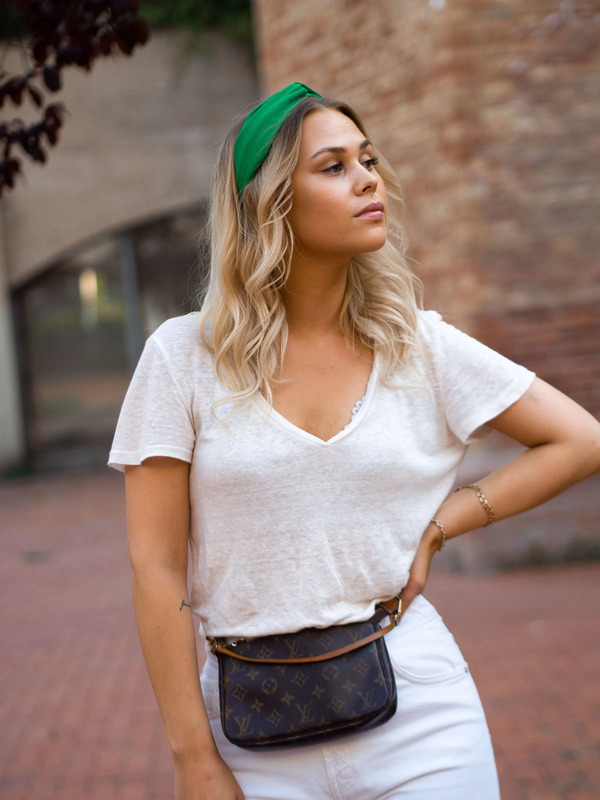 I gathered some of my leopard print favorites to this post, in case you guys are thinking about adding a little bit of leopard in to your closet as well. My absolute favorites are the leopard dress and the skirt, which made me wonder where's the leopard skirt that I already own! I think now would be a great time to start using it again! Did you see the article I made for Nouw's online magazine last week, featuring our beautiful bloggers wearing leo print? If not, you can read it from here! Have a great day loves, I'm on my way to Stockholm as we speak! Sooo excited! Living next to a beach is the best thing ever - except if the beach happens to be Barceloneta, the most popular beach in Barcelona. During the winter it's great. Calm, lively, sunny and clean. During the summer months on the other hand..it's a special kind of hell. Drunk tourists vomiting and peeing all around, people sleeping drunk on the benches.. Everything's packed, loud, dirty and just disgusting.. I guess you won't notice this if you are just passing by, but for the local people and the people who are trying to find their place in this Catalan capital (such as myself), it's miserable. Lately it has been a topic on many news, but so far there hasn't been any improvement. That's why whenever I can, I love to escape from the city. A few weeks ago I was fortunate enough to leave the city for a long weekend in L'Escala, Costa Brava. And would you just look at that beach? 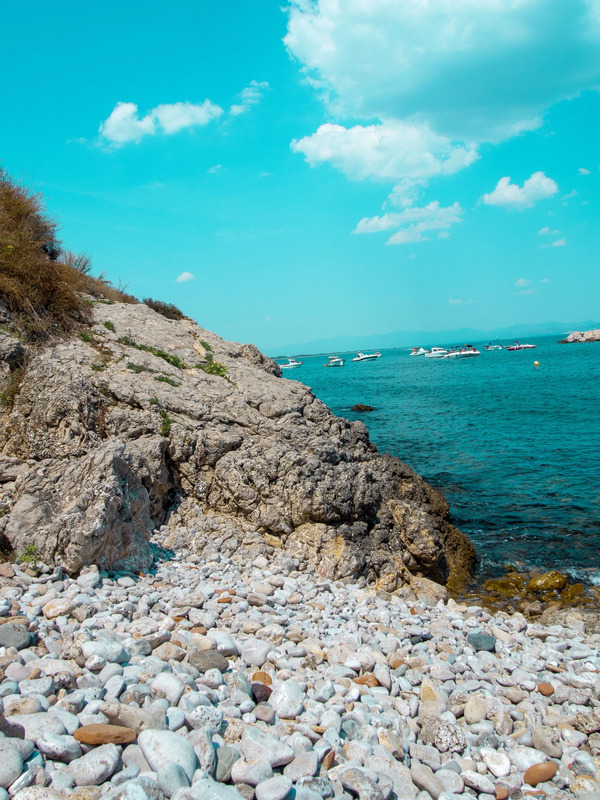 We found a small rock beach with only a few people on it, and started the days laying there, looking at the Mediterranean and listening to the waves (and my audiobooks, of course). I even swam a little bit. Then got seriously worried when I couldn't spot my friend from the sea for half an hour.. Some take swimming more seriously, hahah. I haven't stepped my feet on the beach since coming back home from this beautiful scenery, because frankly, the huge beach that I have next to my home, can't even be compared to the beaches in Costa Brava. Especially in this time of the year.. This week it's time to back my bags and head to Stockholm, which I can't wait. A six day getaway mixed with business and pleasure, in the best company. Many of you gave your Stockholm tips but please keep them coming if anything worth doing or visiting for comes to mind! You know what I'm secretly wishing for as well..? To be able to wear jackets and long sleeves for a few weeks, before coming back to Barcelona. The summer doesn't end here yet, not for a few months, so it'll be great to have some fresh Nordic air on my longs and complain about the rain that always follows me when I leave from Barcelona. I wish to get back to Costa Brava next month. Maybe to visit a friend who lives in Blanes, like I did last year? Don't know for sure yet, but what I know for sure that this month I'll get to spend time with my favorite people in Stockholm, Helsinki and Kuopio. My summer vacation is just a few days away! I've been obsessed with my white swimsuit that I got from H&M in the beginning of the summer. I feel like it flatters my body shape perfectly makes me feel super confident, which is always a plus. I have no idea where my black swimsuit from last summer has disappeared, but to be honest, I haven't really bothered to look thoroughly.. I know the swimsuit season is coming to it's end but even so, I linked you a few, just in case you have a trip to somewhere warm coming up!